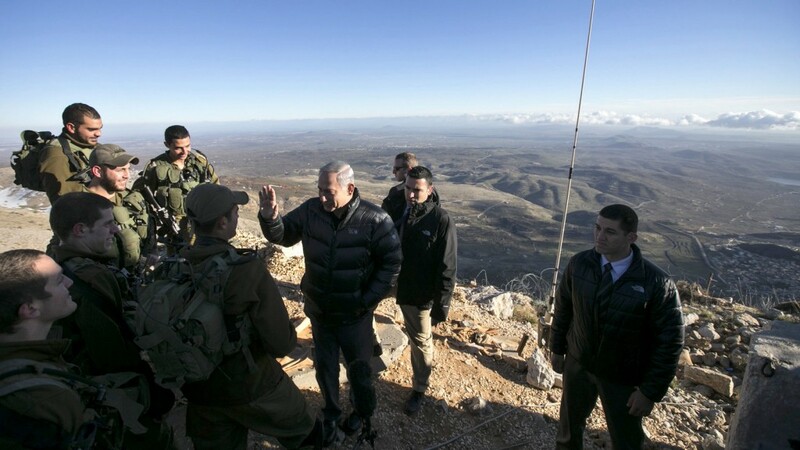 Donald Trump has announced that the US will recognize Israel’s sovereignty over the Golan Heights, captured from Syria in 1967, in a dramatic move likely to bolster Benjamin Netanyahu’s hopes to win re-election, but which will also provoke international opposition. Previous US administrations have treated Golan Heights as occupied Syrian territory, in line with UN security council resolutions. Trump declared his break with that policy, in a tweet on Thursday. By defying a 52-year-old unanimously adopted UN resolution on “inadmissibility of the acquisition of territory by war”, Trump has also broken the postwar norm of refusing to recognise the forcible annexation of territory – which has underpinned western and international opposition to the Russian annexation of Crimea. “The United States relies on these core principles regarding peaceful dispute resolution and rejecting acquisition of territory by force,” Tamara Cofman Wittes, the former deputy assistant secretary of state for Near Eastern affairs, wrote on Twitter. Wittes, now a senior fellow at the Brookings Institution, added the move “yanks the rug out from under US policy opposing Russia’s annexation of Crimea, as well as US views on other disputed territories”. Netanyahu, the Israeli PM, quickly tweeted his gratitude for Trump’s gesture. The Syrian state news agency issued a statement saying Golan Heights remained Arabian and Syrian regardless of Trump’s comments. The announcement came as Netanyahu was hosting the US secretary of state, Mike Pompeo, in Jerusalem. The announcement marks a diplomatic coup for Netanyahu, less than three weeks before a close fought election, and four days before he is due to visit Washington. Trump denied his announcement was intended to help Netanyahu hold on to office, even suggesting he had been unaware the election was imminent. “I wouldn’t even know about that. I have no idea,” Trump told Fox News. He said he had been thinking about recognising the Israeli annexation “for a long time”. “This is sovereignty, this is security, this is about regional security,” he said.